He didn’t remember me, even though I had taken his class. But he knew who I was. He had been reading me in the Herald Examiner. 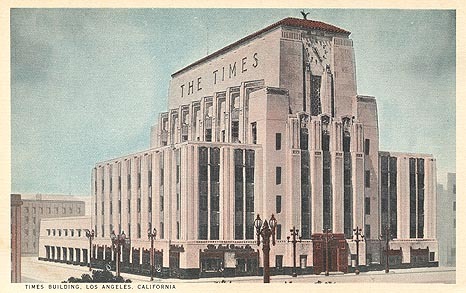 I wanted to move up in the world, so I sent him my resume and clips and Martin Bernheimer, the Pulitzer Prize winning music critic of the Los Angeles Times, agreed to interview me for a position as a freelance reviewer for the newspaper. I remember just a couple of things distinctly about that day in 1989. Bernheimer invited me into his office and I got my first view of The Wall. Beside his desk, as well as some behind it, this wall was covered with outrageous photographs, many of them nudes, most of them, as far as I could tell at a quick glance, from opera productions. There was also a photo of a young and impossibly handsome Zubin Mehta donning an apron in the Times kitchen. I think you weren’t supposed to say anything about this comically shocking wall; at any rate, I don’t believe I did. The interview wasn’t really an interview. Apparently Bernheimer had already decided to add me to his large stable of freelancers, so he began by mapping out the lay of the land at the newspaper. He had a certain appendage, he explained, using another word. It was longer than anyone else’s, so he got to write the big articles and got the most column space. His second in command, Daniel Cariaga, he continued, had an appendage that was also notable for its magnitude, but it wasn’t quite as long as his, so he was granted a little less space. My own appendage, Bernheimer asserted, was rather tiny — how he knew, I don’t know; but he had been reading me in the Herald — and I would be allotted the smallest amount of space and assigned to the most insignificant concerts. Size mattered, in other words. I soon began getting my first review assignments — lots of stuff in Orange County (the Times had an O.C. edition in those days), little orchestras, recitals and chamber music concerts at colleges. The job was to prove yourself with the small stuff first, then you’d get more important assignments. Bernheimer would send me little notes through Cariaga, critiquing my reviews, pointing out errors, suggesting this or that. But I soon learned that he also had my back. He had a go-get-’em attitude about reviewing, and he enjoyed it when a reviewer raked someone over the coals. As a young gun trying to show the world how tough and talented I was, I gave it my best shot. He would receive letters of complaint about me, some questioning my manhood and some people wanting me fired. He would pass these letters on to me, sometimes with a little comment of his own on them showing that he didn’t take them too seriously. On one nasty letter he scrawled “zzzzzzz” at the top. I am very grateful for the support that Bernheimer gave me in those early days. He still sends me emails when he’s read something of mine that he particularly likes. His belief in me has kept me going through some hard times. It is rare, and I just thought I’d mention it. You are a good man to write this piece the way you did. Lovely and loving tribute, Tim. Well stated and well deserved. As a reviewer who also studied with him, I have had my share of little corrections and great endorsements. Long may we be enlightened by this Meisterkritiker’s knowledge and wit. Even if he is writing about Wagner, he writes like Mozart.